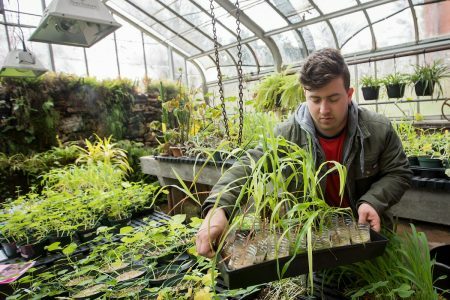 Randolph College is one of the top 10 most “green” colleges in the nation, according to rankings released Tuesday by The Princeton Review. Randolph ranked #9 in the nation and is the only school in Virginia to be included in the top 50. The ranking was part of the 2018 edition of The Princeton Review’s Guide to 399 Green Colleges, which recognizes the 399 most environmentally responsible colleges in the nation. The Princeton Review recognized schools based on their academic offerings, campus policies, initiatives, activities, and career preparation for students. Most of the 399 schools in this edition are in the United States. Thirteen are in Canada, one is in Egypt, and one is in Greece. In addition to this recognition, The Princeton Review also ranked Randolph 18th for “Most Accessible Professors” in the 2018 edition of its flagship college guide, The Best 384 Colleges. See the full list of rankings and read more about the methodology at https://www.princetonreview.com/college-rankings?rankings=top-50-green-colleges, and read more about Randolph’s latest environmental sustainability initiatives at http://www.randolphcollege.edu/sustainability/.